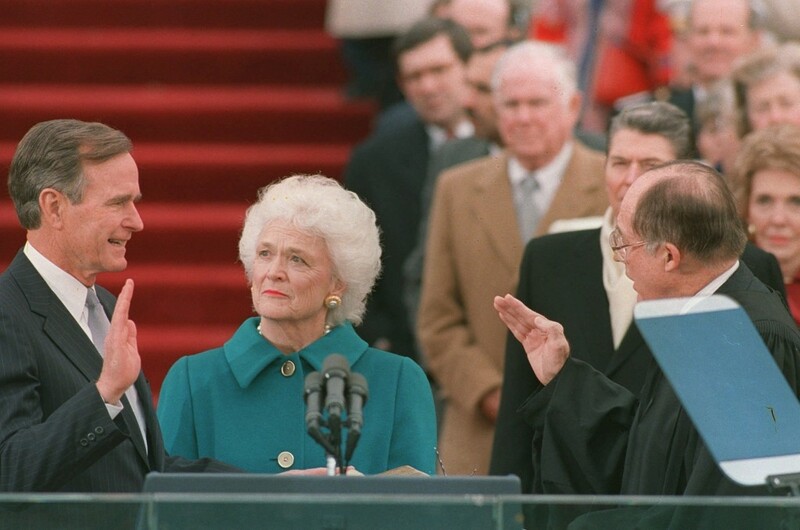 HOUSTON (AP) — He was the man who sought a "kinder, and gentler nation," and the one who sternly invited Americans to read his lips — he would not raise taxes. He was the popular leader of a mighty coalition that dislodged Iraq from Kuwait, and was turned out of the presidency after a single term. Blue-blooded and genteel, he was elected in one of the nastiest campaigns in recent history. He was no ideologue — he spoke disparagingly of "the vision thing," and derided the supply-side creed of his future boss, Ronald Reagan, as "voodoo economics." He is generally given better marks by historians for his foreign policy achievements than for his domestic record, but assessments of his presidency tend to be tepid. 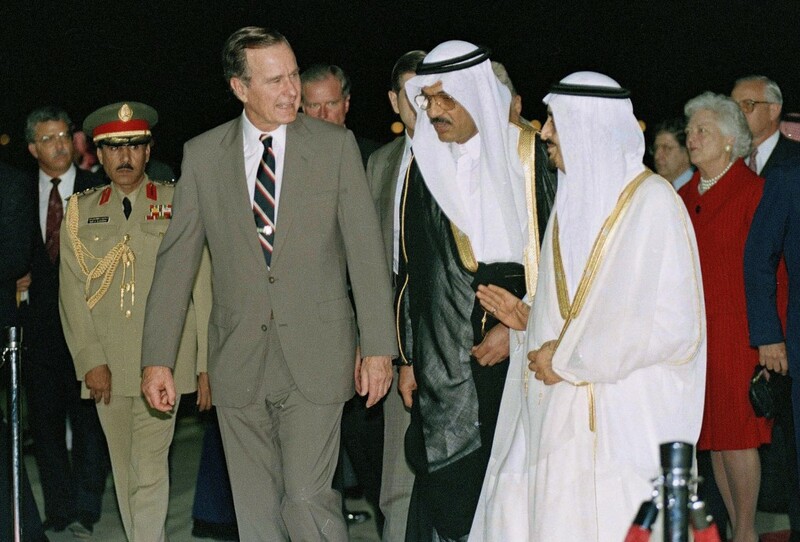 After Iraq invaded Kuwait in August 1990, Bush quickly began building an international military coalition that included other Arab states. 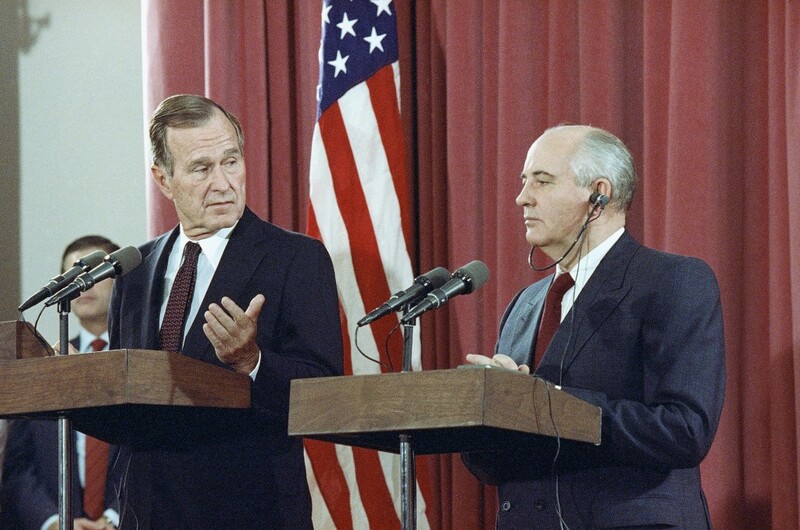 After freeing Kuwait, he rejected suggestions that the U.S. carry the offensive to Baghdad, choosing to end the hostilities a mere 100 hours after the start of the ground offensive. 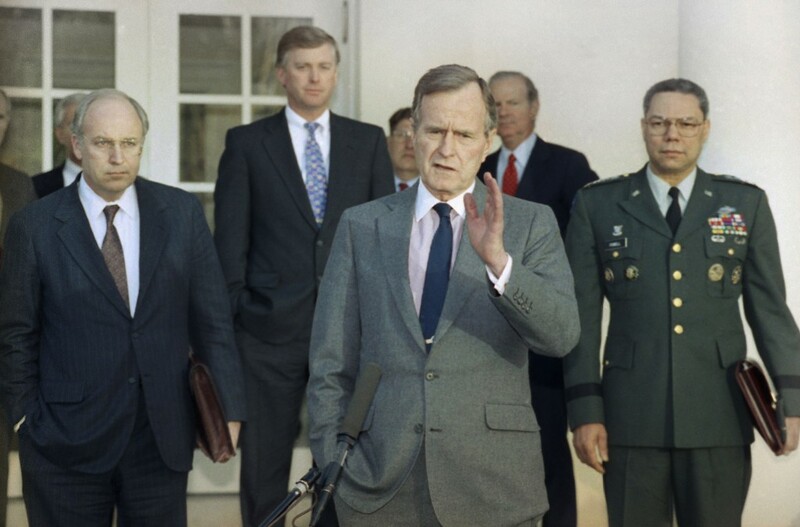 Unlike his son, who never served in the military, the elder Bush was a bona fide war hero. He joined the Navy on his 18th birthday in 1942 over the objections of his father, Prescott, who wanted him to stay in school. At one point the youngest pilot in the Navy, he flew 58 missions off the carrier USS San Jacinto. 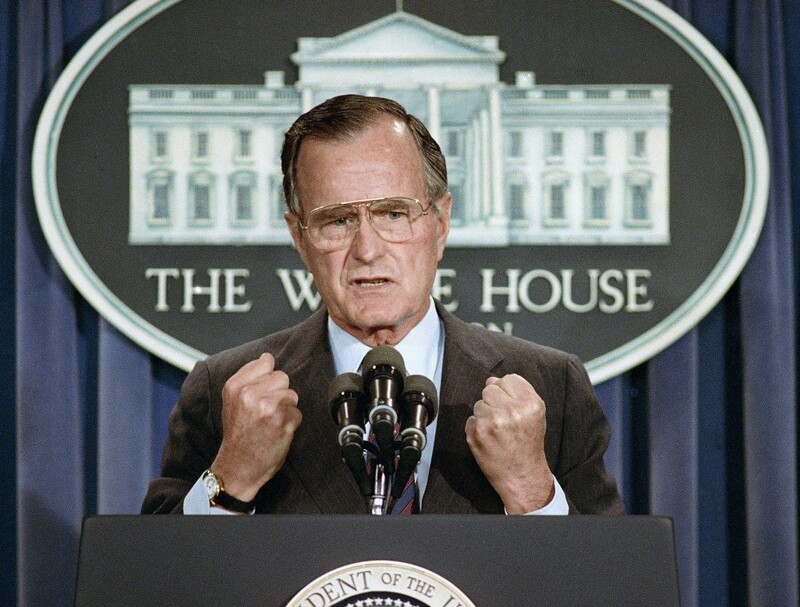 Bush was born June 12, 1924, in Milton, Massachusetts. His father, the son of an Ohio steel magnate, had moved east to make his fortune as an investment banker with Brown Brothers, Harriman, and later served 10 years as a senator from Connecticut. His mother, Dorothy Walker Bush, was the daughter of a sportsman who gave golf its Walker's Cup. Competitive athletics were a passion for the Bushes, whether at home in Greenwich, Conn., or during long summers spent at Walker's Point, the family's oceanfront retreat in Kennebunkport, Maine. Bush, along with his three brothers and one sister, had lives of privilege seemingly untouched by the Great Depression. 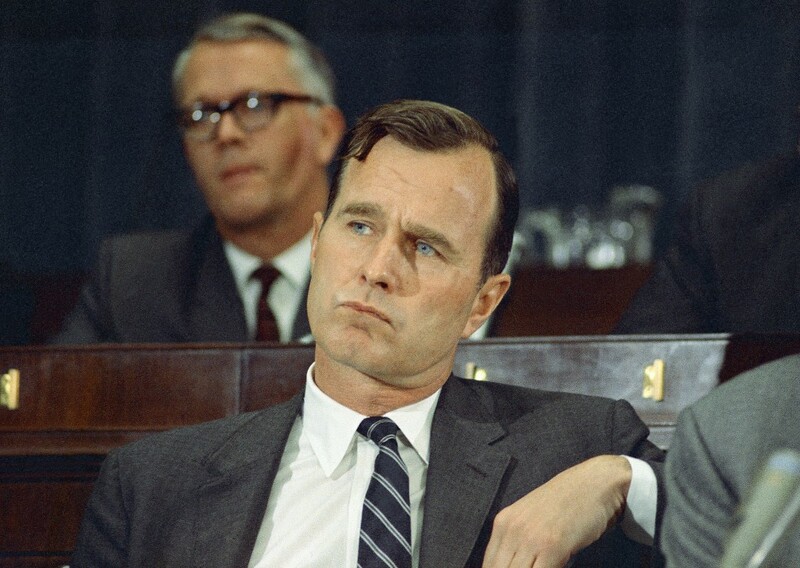 Young Bush attended Greenwich Country Day School and later Phillips Academy at Andover, Massachusetts, where he was senior class president and captain of the baseball and soccer teams. It was there, at a dance, that he met Barbara Pierce, daughter of the publisher of McCall's magazine. George and Bar would marry when he left the Navy in January 1945. 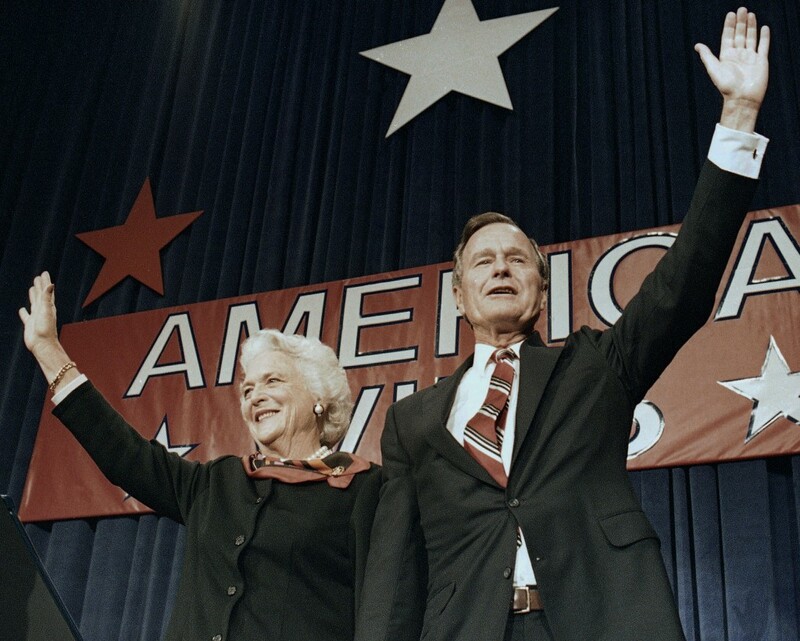 They were together for more than seven decades, becoming the longest-married presidential couple in U.S. history. She died on April 17, 2018.